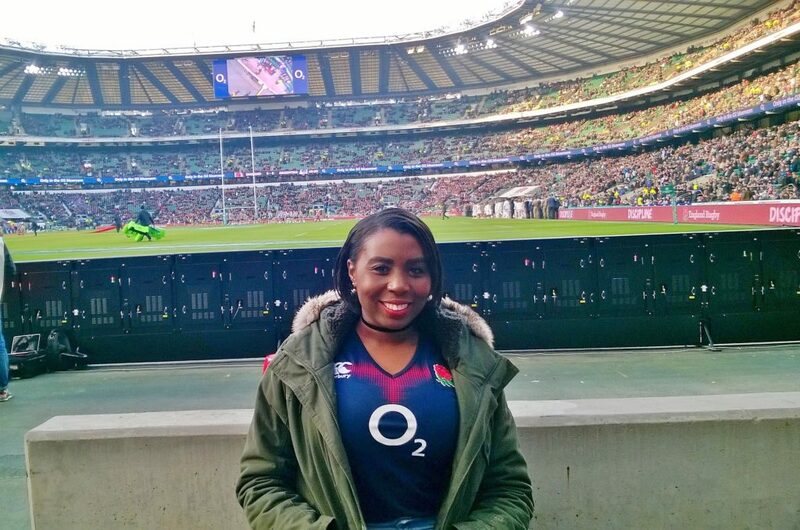 My boyfriend and I went Twickenham Rugby Stadium, the home of English Rugby, to watch the England v Argentina in the Old Mutual Wealth Series. It was the second time I had been there to watch a rugby match with him, this time we was also joined by his brother, his wife and their children for a family day out at the rugby. 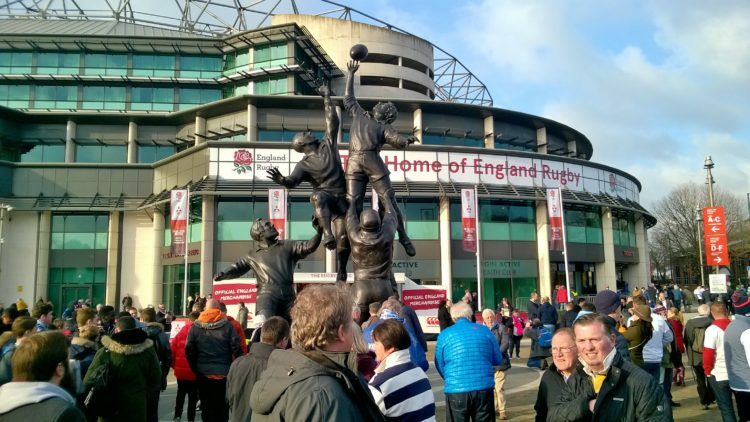 We arrived at Twickenham Stadium two hours before the 2.30pm kick-off, so we had plenty time to do a bit of shopping at the rugby store, get some food, have a few drinks. Then 20 minutes before kick-off went to our seats, the seats where at pitch level just to the side of the posts. The first half England were playing towards our end, with the ‘in goal’ try scoring area right in front of us, it was great. In spite of England having a player red carded in the first 5 minutes of the match, England went on to win the game 27-14. 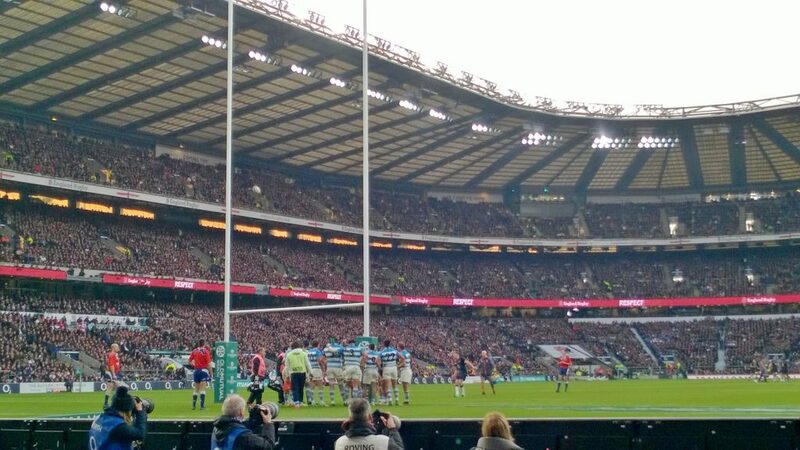 It was a good game and England really dug in deep to triumph with only 14 men. After the game we happened to bump into a family we met last year when we went there to watch England v Ireland, they remembered us and we had a catch up. We then went for more drinks at a bar while the waiting for some of the crowd to disperse, plus with England women v Canada women kicking off 50 minutes after the game ended but there was still a healthy crowd staying to watch them. We then played a game of catch with the mini rugby balls brought from the rugby store earlier that day. The kids loved it… and so did the adults! Then around 6pm we left the stadium, went to the bus stop and made our way home. 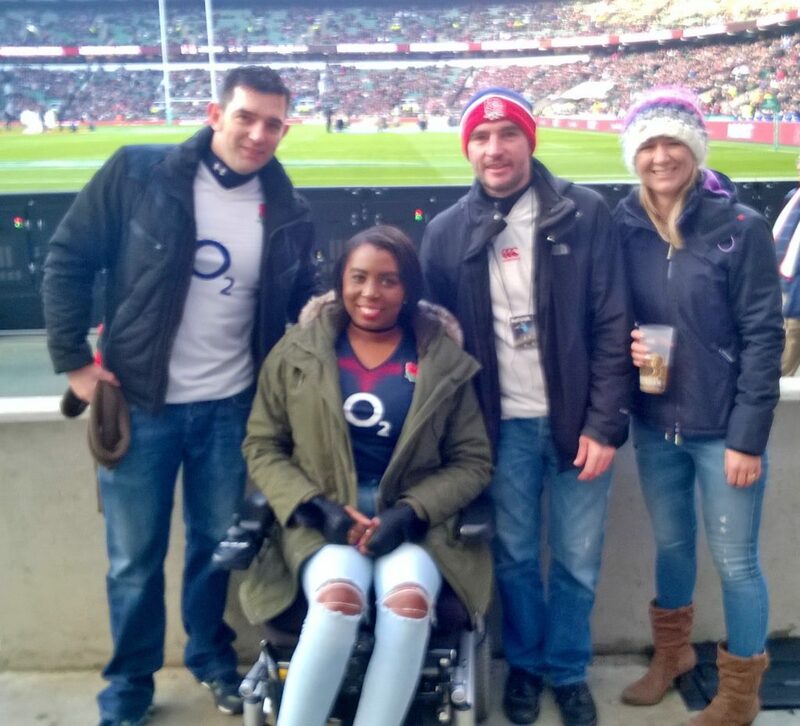 Twickenham Stadium is fully accessible with full wheelchair facilities. The staff were helpful and really friendly. 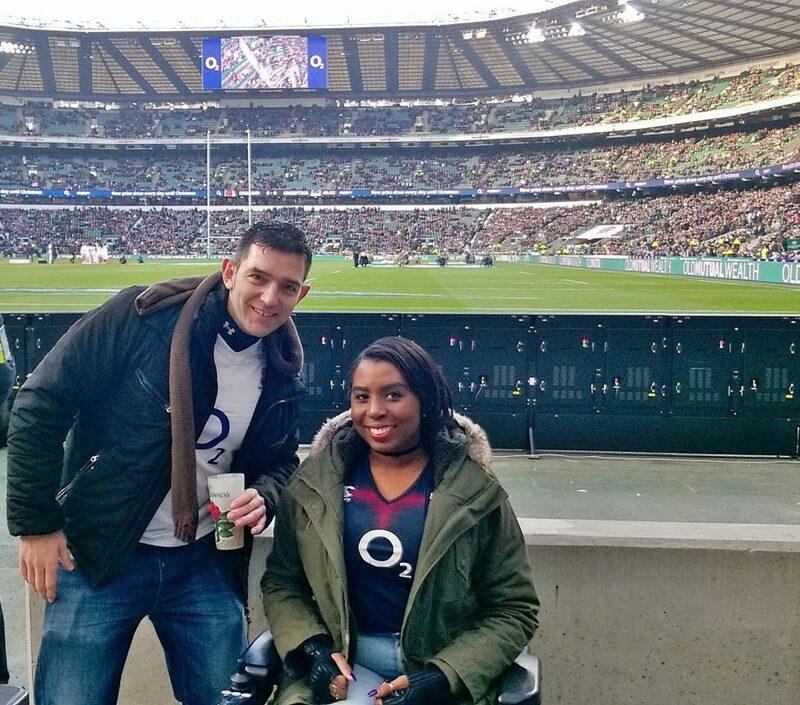 Twickenham Rugby Stadium has a great disabled supports club that I am a member of, for this game both mine and my carer’s ticket was free. I just had to apply by filling in a form and add any additional tickets that we may want at a cost, and we were able to all sit together. Rugby fans are so friendly, everyone talks to each other and are just so polite. It is very family friendly, I just love the vibe! Totally different to football fans where they are more aggressive. It was a great day out and we all enjoyed it very much!